To honor the 10 year anniversary of Frank Sinatra's passing, Warner Home Video has teamed up with Reprise Records (the label Sinatra himself founded in 1960), Turner Classic Movies, MGM Home Entertainment, and even the U.S. Postal Service for a unique tribute to the the singer. Among what you'll see are a commemorative postage stamp, a CD collecting 21 of his classics, and a month-long festival of films and specials on TCM. For their part, Warner is releasing a whopping 22 films, including 11 brand new to DVD, in four new collections. Also debuting is a two-disc DVD of Sinatra, the 1992 award-winning CBS miniseries. Repackaged versions of Ocean's 11, 4 For Texas, and Robin and the 7 Hoods are great, but the centerpiece of the collection is the western, Sergeant's 3, never before released on DVD, with the core Rat Pack-ers being directed by John Sturges of The Magnificent Seven and The Great Escape fame. Loaded with special features, this is the set to get for fans of the "Chairman of the Board". This one's a mixed bag, combining some of his most interesting work with some of his most forgettable. Most interesting: None But the Brave, Sinatra's only credited attempt at directing a movie; The Man with the Golden Arm, Sinatra's Academy Award-nominated performance as heroin addicted drummer, Frankie Machine, directed by Otto Preminger; and Some Came Running, a cult favorite directed by Vincente Minelli, and starring female Rat Pack member, Shirley MacLaine in an Oscar-nominated role. Least interesting: The Tender Trap, a cutesy musical with Debbie Reynolds, and Marriage on the Rocks his last film with Dean Martin, costarring Deborah Kerr. All of these are available for the first time on DVD. This set is for fans of Sinatra, the underrated actor. Young Frankie Sinatra learning the Hollywood ropes in some pretty rare but unworthy films notable mostly for a look at the charismatic man he would become. All available on DVD for the first time, this set includes Higher and Higher, Step Lively, It Happened in Brooklyn, The Kissing Bandit, and Double Dynamite. This set is for fans of "The Voice". The most disappointing set of the bunch, because it consists entirely of repackaged already released DVDs. And these are some of his most enjoyable films. Gene Kelly is disarming as the leading man, but you can see Frank starting to come into his own. Anchors Aweigh features Kelly's dance with Jerry of Tom and Jerry fame. Also included are Take Me Out to the Ballgame, and On the Town. This set is for fans of Sinatra, the underrated dancer. Executive Produced by Tina Sinatra, this is a surprisingly brave, warts-and-all look at the singer. Philip Casnoff, who bears little resemblance to "Ol' Blue Eyes", nonetheless transforms into him through the power of performance. 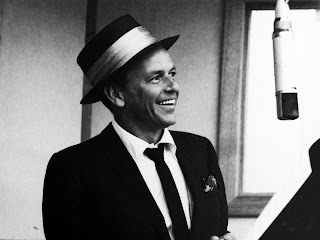 Playing him from his early twenties through his late fifties, one always forgets that he is not Sinatra. Maybe it's because he's got his walk down perfectly. Difficult job for Casnoff also, as he must remain sympathetic despite reenacting some of Sinatra's truly awful and pathetic moments. His contractual dispute with Tommy Dorsey (Bob Gunton), his serial philandering, and tempestuous relationship with Ava Gardner (Marcia Gay Harden) while wife Nancy (Gina Gershon) stays home to raise the kids, his shady connections with the mob, in the form of Sam Giancana (Rod Steiger), on behalf of the Kennedys, all get their spotlight in the surprisingly, too short 4-hour epic. Period details are captured perfectly throughout, and performances are all understated and top-notch. This DVD is a must-have for even the casual fan.